The HCG Institute furnishes the medical consultation only. Any resulting prescription from this medical service will be sent to a 503B compounding pharmacy in the USA which will deliver the medication directly to your door. Methionine Inositol Choline (MIC) injections with B12 to lose weight and improve metabolism. You must be a current patient to access this product. To become one please fill out the Medical Intake Form for a wellness consultation. Methionine, Inositol, Choline, a powerful combination that promotes the metabolism of fat in the liver, prevents cholesterol buildup in blood vessels and is also associated with proper insulin function and carbohydrate digestion. 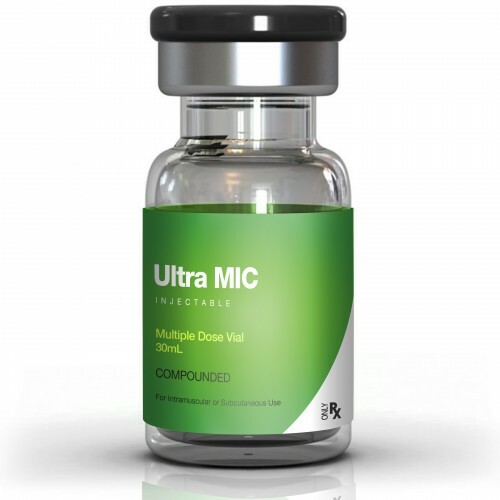 Our pharmaceutically compounded MIC shots mixture of enzymes, amino acids and vitamins is specially formulated to assist patients with weight loss by boosting your metabolism, increasing your body’s fat burning mechanisms and provide you with the energy you need to lose weight fast.